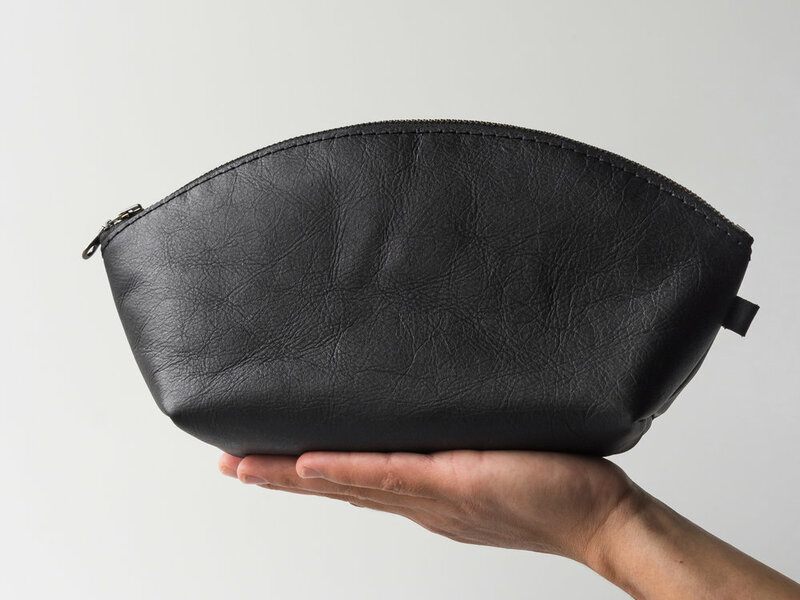 This black leather dumpling pouch is large enough to fit your most important toiletries. The durable leather can take a beating while the feminine design looks polished and chic on your bathroom counter. Keep it for yourself or give this unique, hand crafted women’s dopp to a special friend. *also available in a mini size! The outer surface is not sanded off and the leather will show rich texture and natural imperfections like scars, bug bites, and even branding marks. 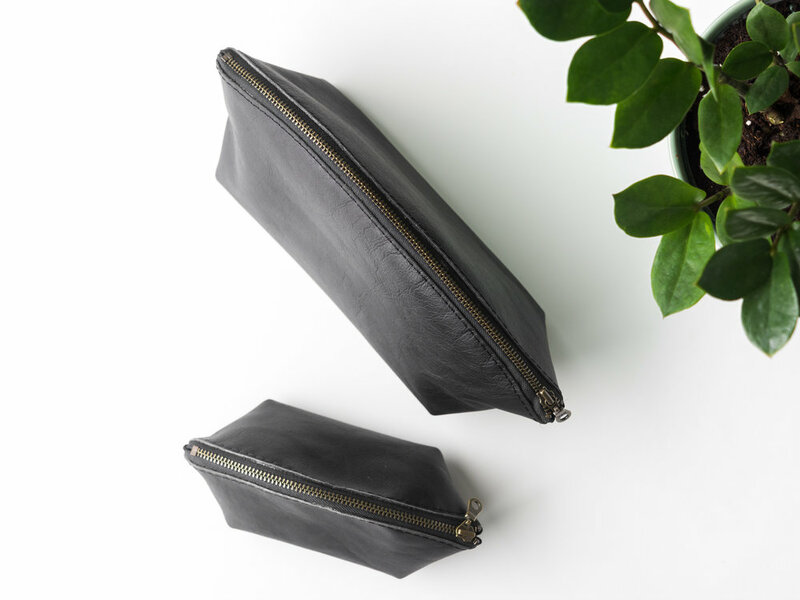 This means no two items are identical, and we feel these small variations contribute to the beauty and character of hand crafted leather goods. Every item is freshly conditioned with Pecard Leather Dressing before shipment, to help your leather last a lifetime.